Barbra Itungo Kyagulanyi, the wife to the Kyaddondo East MP Robert Kyagulanyi says no amount of pressure and acts of torture will stop her from fighting to see that her husband is released. 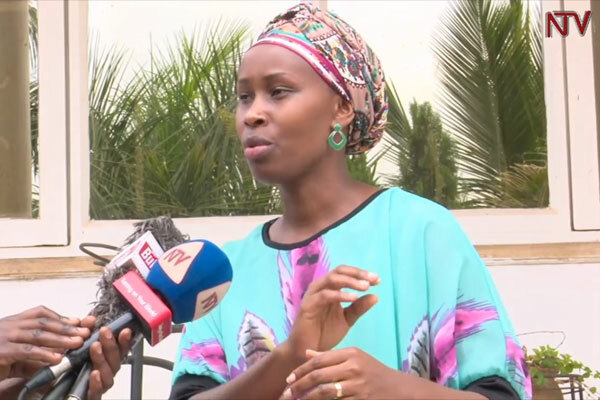 Ms Barbra Kyagulanyi, who was speaking to NTV on Sunday afternoon, revealed that though her husband was physically weak at the moment, he was still determined to continue fighting for what he called a more democratic Uganda. Bobi Wine who has been in prison since Monday last week, is said to be in bad heath after being tortured by the military following the fracas that happened in the last campaigns of Arua Municipality MP seat. “His forehead is bruised and his eyes are red. He has many wounds including one on his ear. He seems to have been punched many times on the face. He cannot walk. He cannot sit straight. He speaks with difficulty and has a lot of pain breathing,” his wife Barbie Kyagulanyi narrated after the visit.